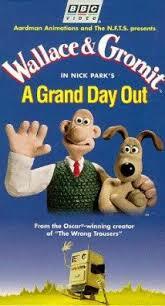 My favorite Wallace and Gromit film is A Grand Day Out. In it, Wallace finds that while he has crackers, he has run out of cheese. Of course, that means he and his dog Gromit need to go to the moon to get some more, as everyone knows the moon is made of cheese. Gromit builds a rocket and they head off to find some cheese. 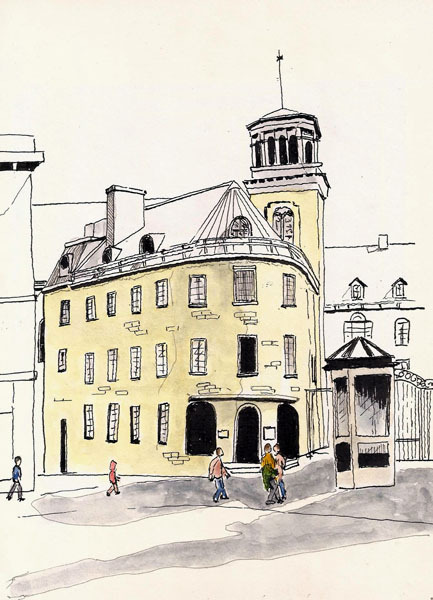 Yesterday I was reminded of A Grand Day Out because I had one in the form of Quebec City’s version of the 42nd Worldwide Sketchcrawl. We’ve held several of these and while it’s hard to do when it’s -25C, we do what we can to bring people together. 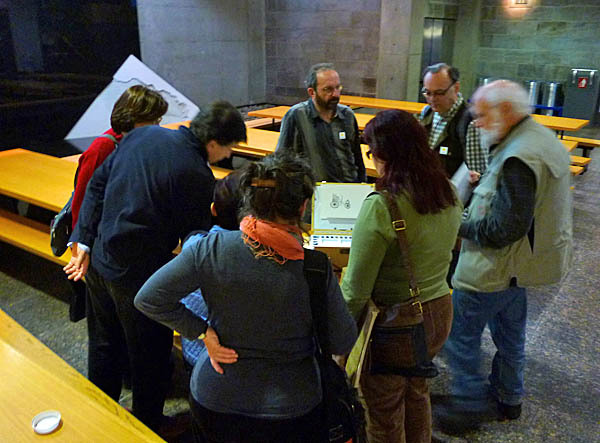 This sketchcrawl was held at the Musée de la Civilisation. This museum is a very welcoming and accommodating place and it’s ideal for such an event. 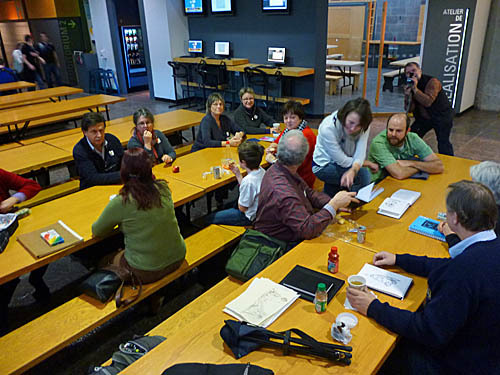 As with all of our sketchcrawls, this one was organized by Yvan Breton and Celine Poulin. 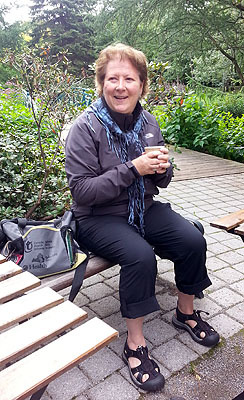 One of my sketching buddies, Claudette Gauvreau, deserves some credit as well as she used her infectious laugh and sociability to convince several of her friends to join us. And what an event it was. We had a couple DOZEN people at this event. I emphasize the word dozen as when you can start counting participants in ‘dozens’ it’s sort of like being old enough to talk about how many decades you’ve been alive. And dozens we had, at least 24 people and while it was hard to get an accurate count, I think it was more. What I do know is that I found it impossible to remember the names of all the people I met for the first time. But I’ll always remember the smiles on their faces. And did we have fun. 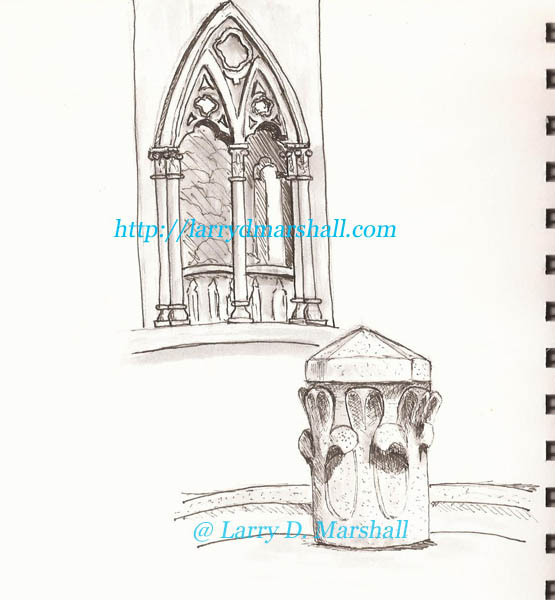 The one downside of a museum sketchcrawl is documentation as they frown on photography in the exhibit areas (click on image to get a larger image). What I can tell you is that from 10AM until 12:30 there were sketchers everywhere you looked and it was quite exciting. Some people were surprised by how relaxed the atmosphere was and how “non-competitive” we were. You can tell ‘serious’ artists about this difference between sketching and fine art but until they experience group sketching on location, it’s hard to understand it. 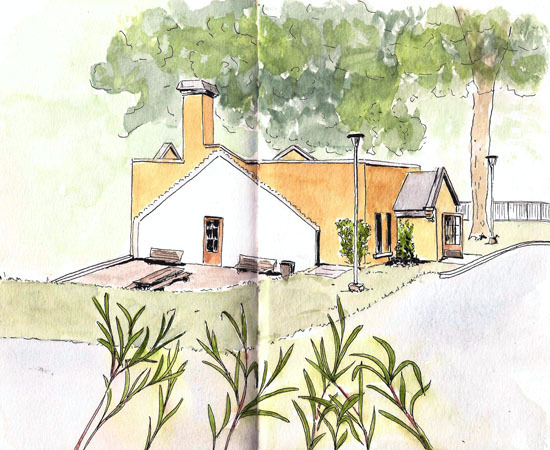 At 12:30 we gathered in a basement area to eat lunch and kibbitz about sketching, pens, watercolors, and to share our sketchbooks. I’m not sure we ever had everyone in one place so I can’t show you the typical ‘the gang’ photo but here are a few clusters of people and even a few sketches I managed to snap a photo of as they were laid out by some of the participants. 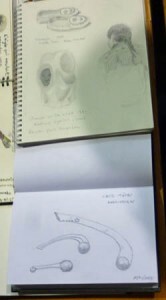 I found it hard to get photos of other people’s sketches because everyone was having so much fun flipping through everyone else’s sketchbooks. Pictures come second to fun in my book but I did manage to get these few snapshots. 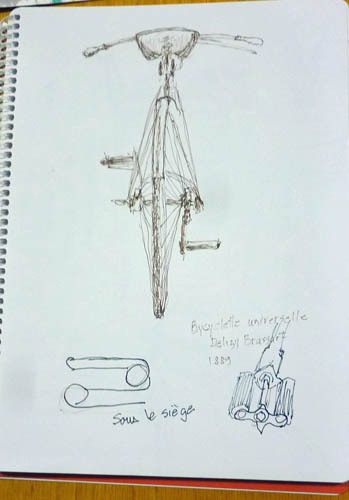 Guylaine Côté’s bicycle. Love this view. After lunch, and after we couldn’t talk any more, most of us headed back out to sketch. We lost a few of our participants as they had afternoon appointments elsewhere. Once again we invaded the exhibits like ants on a sugar cube and while we were having fun, we were also becoming part of the exhibits, as folks were looking over our shoulders and saying nice things. Location sketching is good for the ego. We wrapped up around 3PM, most of us quite tired but also exhilarated by the day’s activities. I’m still walking a foot or so above the ground. Did I mention we had a COUPLE DOZEN participants? Oh…I did a bit of sketching myself, though not as much as some. And I did have the ability to scan them. Here are my sketches from the day. It was definitely a Grand Day Out. You can find many more photos and sketches on the Worldwide Sketchcrawl site. 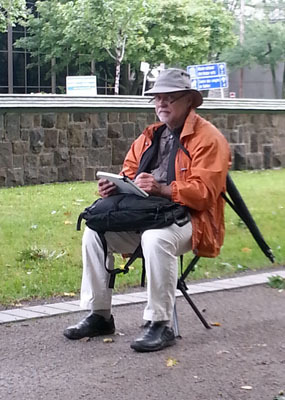 What’s an urban sketcher to do when the weather turns bad. 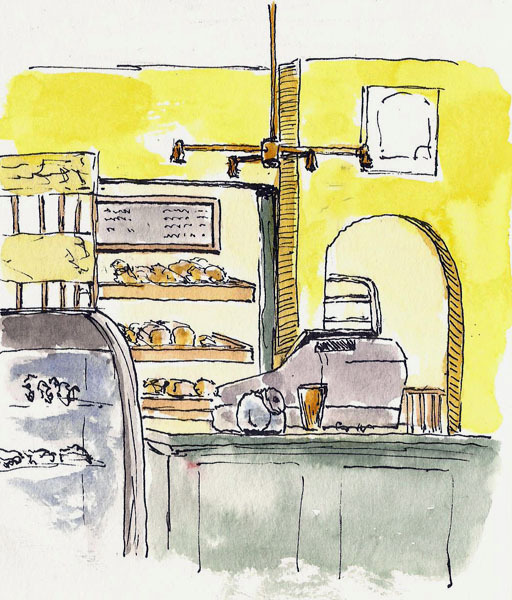 One thing is to go with other sketchers to a cafe where you can sketch and talk about sketching, pointy devices and anything else that might interest the group. That’s what we did on Thursday. We drove to a great cafe and bakery on Ile d’Orleans. Called La Boulange, it’s a grand old house that’s been converted to a cafe. 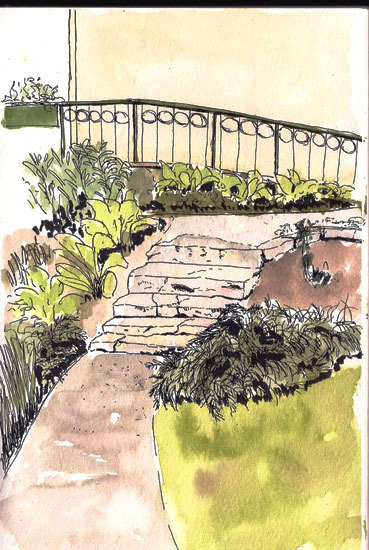 Great place to sketch in good weather and bad as there are lots of great scenes to sketch outdoors when weather permits. On this day Yvan and I rattled on about fountain pens while Fernande and Claudette had fun drawing a family. Looking through a passageway from the bakery to the restaurant tables, I saw this scene. One of the great things about Quebec City is that there are a lot of free concerts. Many are associated with the conservatory here and are mostly students – really good students. Another source of free concerts are the ‘mid-day’ concerts associated with the Grand Théâtre de Québec. This venue is the site of operatic and symphonic programs, musical plays, and a bunch of big name but not big venue performers. I saw B.B. King there. The mid-day concerts are held on the second floor foyer, however, and once they’ve set up a stage and a bunch of chairs, it’s about the size of a decent sit-down night club without the booze, though you can get coffee and danish. And that’s where I was today, to listen to a fantastic group of six jazz singers, all people too young to have so much talent. I arrived a little after ten AM and the concert didn’t start until eleven, though I got a mini-concert as the group went through a couple numbers, getting warmed up and checking equipment, I suppose. With little to do besides look out the window, that’s what I did. I got together with this pine tree, which also didn’t seem to have much to do, and we made this sketch together. We had a good time together. 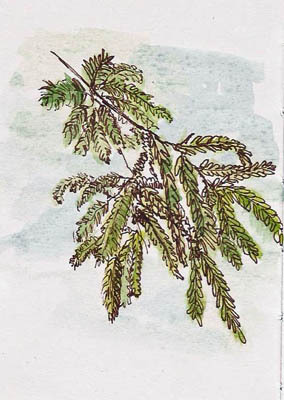 But when Yvan arrived, the fickle friend that I am completely ignored my pine tree friend. Yvan and I talked about sketching, his new sketchbook, the Series 400 toned paper that Strathmore is selling and some other stuff. 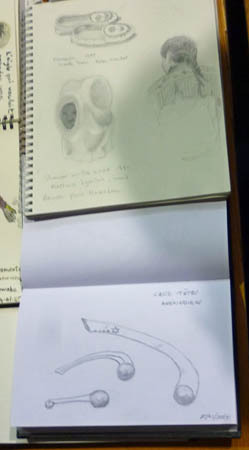 When we could, we went up and staked out some primo sketching seats, saving one for Celine. While I tried to sketch the singers, I didn’t do so well. So, I sketched people who were in the audience. 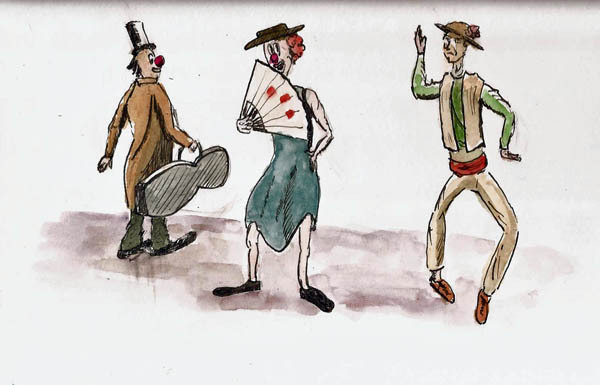 These were all very quick sketches – another problem my brain has when in a crowd of people moving around. My brain goes into “you’ve only got a minute, dummy, go fast…blindingly fast.” So, while these spectators were going to stay put for me for the duration of the concert, I was doing 1-2 minute quick sketches. Darn brain. All of these sketches were done in a 3×5 sketchbook using a Platinum Carbon Black fountain pen, filled with PCB ink. I’ve come to like this pen a lot for detail sketching as it’s really fine, like a .005 Micron. I’m not so sure about it as a people sketching pen for the same reason – the lines are just too fine. The music was fantastic, being with my sketching buddies always a good time, and there’s no such thing as a bad sketch if you view sketching fun as coming from the process, not the result. I do. 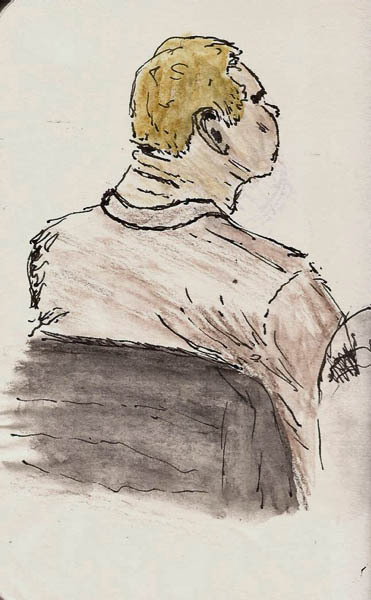 As long as I’m talking about people sketching, here’s a slightly better sketch I did the day before, of a cooperative guy who sat reading. He changed his position only once in the 10 minutes or so I spent sketching him which I thought quite considerate. 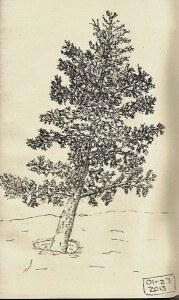 This sketch was done with my Hero 578 “Chinese calligraphy” (tip bent upward) pen, Noodler’s Lexington Gray ink, and a Stillman & Birn Epsilon sketchbook. You can see that I can get variable line thickness from this pen and I think it adds something to the sketch. Sometimes luck is on your side; sometimes it’s not. 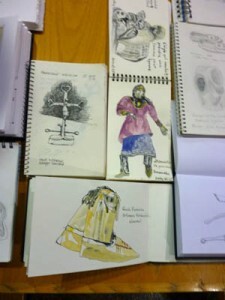 I’m still not sure which of these occurred yesterday, when we held our second Croquistes de Quebec sketchcrawl. The day before the event the weather reports were suggesting 20-30mm of rain for the day – not exactly what you want to hear as an organizer of an outdoor event. But when Sunday morning arrived, the report had been downgraded to 1mm of rain. It was windy and it had cooled significantly from the nice temps we’d had all week. Things, shall we say, were not looking good. But, intrepid sketchers that we are, Yvan and I arrived at Parc Parc du Bois de Coulonge bright and early with smiles on our faces, though our collars were turned up and hats pulled down tight onto our heads. 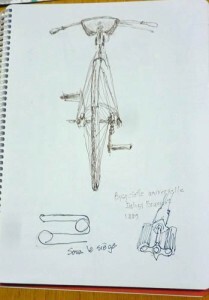 We started sketching, hoping beyond hope that someone else would show up. I’d be lying if I didn’t acknowledge that we were doubtful. Agathe drawing a Hosta plant. But alas, there are other crazy dedicated sketchers in Quebec City and soon, Agathe showed up. 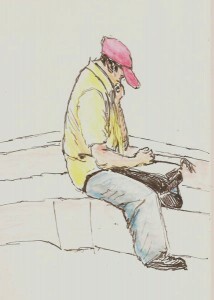 She’s a passionate sketcher that did a great sketch of me sketching. I wish I had it to share with you. 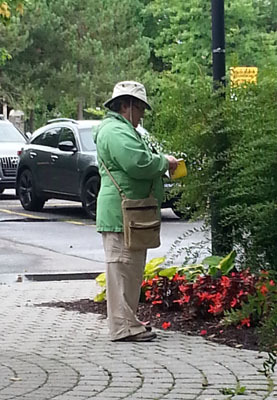 Later she became interested in drawing some of the plants in the park. 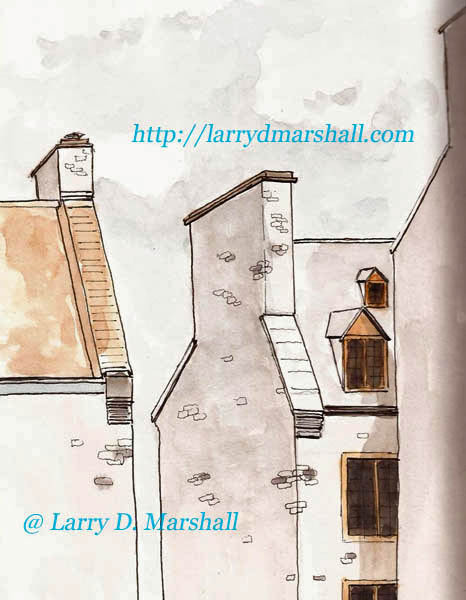 A bit later Guylaine arrived and began drawing a building that’s right out of one of Disney’s animation movies, with more gables and turrets resting on its small footprint than any building deserves. I think she was the really smart one among us as the building houses a coffee shop and she got to sit at a table while she drew. It was cold, however, and very windy. Rain seemed just around the corner, though it didn’t actually rain until Yvan and I were heading home late in the afternoon. The two women had had enough by lunch time and left but since we had established both a morning and an afternoon meeting time, for those who couldn’t make it in the morning, Yvan and I felt compelled to stay. 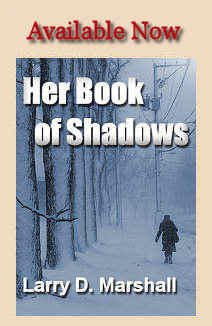 We headed to the afternoon meeting place, and while our spirits were cold, they had yet to be dampened, at least not literally. Yvan decided he was going to draw the grand building at the head of the large garden/fountain/open area that is the heart of the park. Being of more modest abilities and energy, I decided to draw what is now the information center. It used to be the hub building for three greenhouses that splayed out in three directions but had been removed. I found the building fascinating, particularly from my perch on a hill above it. I still need to draw some of the garden behind it. 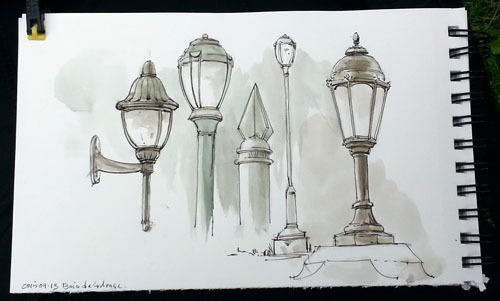 One thing Yvan did during the day was accumulate drawings of the lamps and fixtures within the park. I thought I’d share it with you to give you some indication of this guy’s talent. These are his “quick sketches,” each taking him only 2-3 minutes. In the end, the bad weather reports and the cold reality diminished our numbers and was unlucky. On other hand, four of us had a great time getting together to sketch. Overall I think we were lucky because we all went home happy and dry. Besides, it’s supposed to warm up tomorrow and I’ll be out sketching. I’m just giddy with excitement that I’m getting some days that are warm enough for me to get out sketching on the street. It’s a good time too as tourists aren’t yet filling the old city streets so I’m able to sketch some things in that area that are normally difficult because of all the people. One such place is the Musée de l’Amérique francophonie. 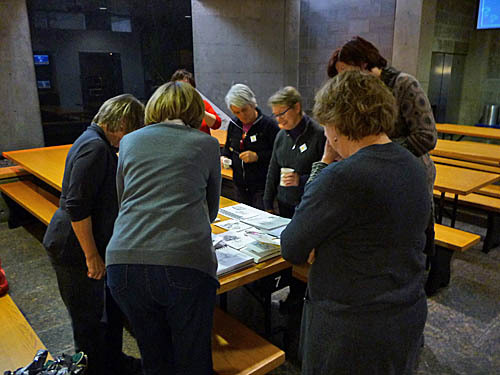 It’s part of a complex of structures that used to be a seminary and Université Laval. The university moved, long ago, from the downtown area but its Department of Architecture still resides in one of the buildings. These buildings have a rich history and I’ve sketched several of them but never the Museum entrance because it faces the town square and is next to a huge cathedral that is a tourist attraction. But tourists won’t show up until it’s a bit warmer so I sat and sketched this grand structure. Nothing better than sitting in the sun, coat zipped up, and sketching. Hmm…no, it’s better without needing the coat zipped up. There was a time when Quebec City had a zoo. It was a good zoo. It was a place where you could go to not only commune with animals but also to walk the large, wooded grounds and have a picnic. Then a really dumb, and completely unavoidable political decision, was made and we no longer have a zoo. 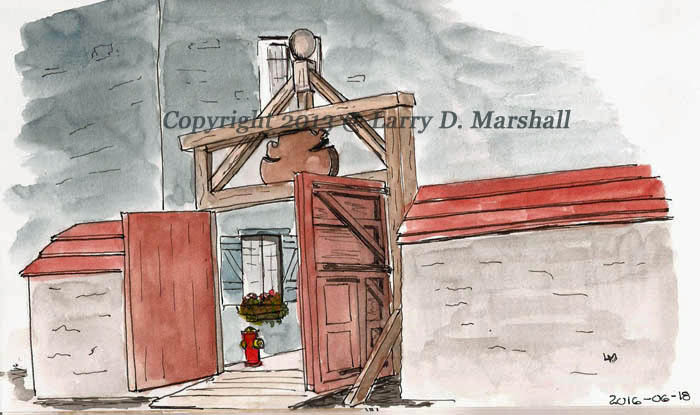 What do you do with a huge tract of land that had a bunch of moats, fences, and buildings scattered all around it. What Quebec did was fence off most of it and turn the front section into a small park to serve the population in the northern portion of the city. It’s a beautiful park, with waterfalls scattered along the small river that runs through it. It’s also just a short bus trip from my home. My daughter and I went there. She took her Kindle. I took my sketchbook. We had a grand day, enjoying one of the first days where we could be outside without coats. I chose this scene. The small building used to be one of the administration buildings of the museum. 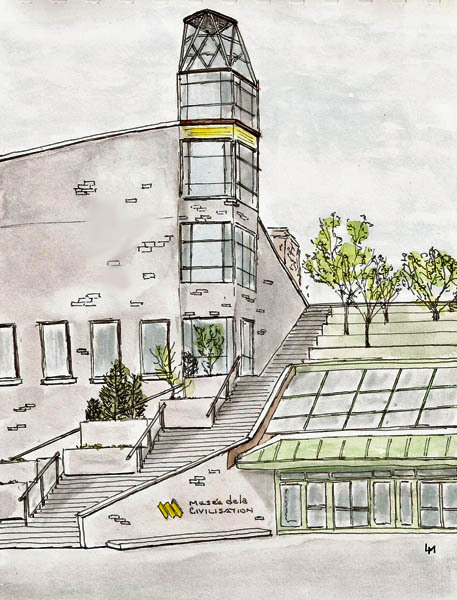 Just a quick reminder that Saturday, January 25th, at 10AM will begin a grand day of sketching as we celebrate the 42nd Worldwide Sketchcrawl at the Musée de la Civilisation. It’s free to all but bring sketching materials and a lunch, though the museum will be most happy to sell you food as well. You can see details here, in my original post about the sketchcrawl. See you there. Paris In Quebec City…Sort of. The Musee de la Civilisation launched its new Paris 1889-1920s exhibit by holding a special grand opening on a Tuesday evening. As I’m a member I got an invitation and Yvan and I decided to go. We saw it more as a reconnoitering session than anything else so our plan was to quickly run through the exhibit, noting what would be good to sketch. This exhibit will be one of our principle sketching subjects this winter. We decided, though, that we should go early enough that we could sketch in the old port for a couple hours before the event and that’s what we did. We sat in Place Royale, a tourist hot-spot and boy, were there tourists. Because of our lousy weather it didn’t seem like summer to us until we looked at the sea of people. 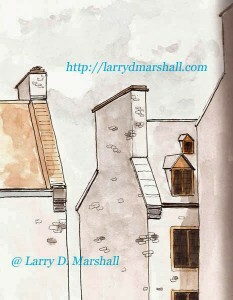 So, we looked up and I sketched this roof line over the heads of the tourists. Stillman & Birn Alpha (10×7), Pilot Prera and Lex Gray ink. When we finished up we still had some time and we wandered into a place adjacent to Place Royale that has a cannon battery pointing out at the St. Lawrence, to protect Place Royale from the tourist and ferry boats. This is the gate into the place but from the inside, looking out. I felt a bit rushed so it got a bit wonky but I like the sketch nevertheless. Same sketchbook and pen/ink combo for this one. 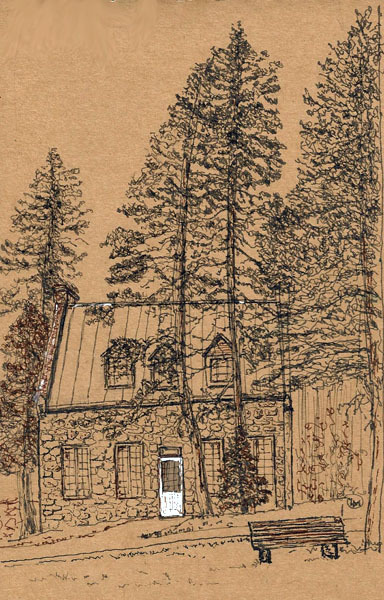 There is a series of outdoor sketching events, in Quebec City, this year. Time will tell how organized, or not, they are but Yvan and I attended on a week ago. We were to meet downtown in a small park near the Chateau Frontenac, Quebec City’s challenge to Hogwarts. It’s a grand hotel and there’s a huge fountain in the park next to it. 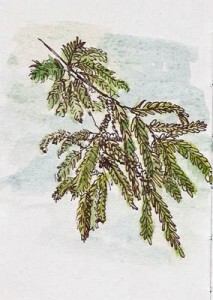 While waiting to meet up with Yvan to walk downtown, I did this little sketch of a branch that caught my eye. It doesn’t take much to get my pen moving. When we arrived there were four other sketchers there and we all scattered about and got busy sketching. Yvan and I took advantage of the fact that they’d been working on the fountain and it was dry. 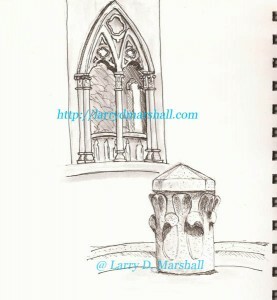 We climbed into the fountain, sat on its perimeter and started sketching some of the fountain details. We broke for a quick lunch and then it was back to sketching. 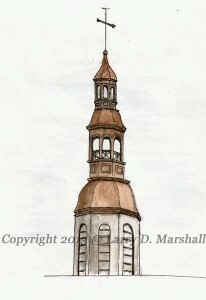 I love this large steeple and so it became my target. About half an hour into the sketch it started to rain so we hot-footed it to the Subway a block away. We got lucky and got a seat by the window and we drank coffee and sketched through the window. There was a bike race going on and the rain didn’t stop it so we had plenty to sketch. I’ll spare you my quick sketches from that session as they’re particularly bad. Once the rain stopped, though, we returned to finish our sketches. Here’s the steeple. Done in a Stillman & Birn Alpha (10×7) using a TWSBI Mini and Platinum Carbon Black. It was a great day, though I remember being particularly tired at the end of it. It’s been really cold here in Quebec. So cold, in fact that I couldn’t bring myself to go out at all, let alone walk the hour to the museums. I hadn’t sketched in several days because of this, so when the high temp hit -17C I jumped at this ‘warm’ day to head out. I decided to go to the Musee de l’Amerique francais, the site of our recent sketchcrawl. As I was there on a Thursday morning, I think I was alone in the museum, except for the staff. It was quiet. It was comfortable. In fact, I sat in a nice, comfy sofa and sketched a mannikin who was dressed in a 16th Century gown worn in the movie The Fountain. Still trying to figure out pencil sketching, that’s what I was using. 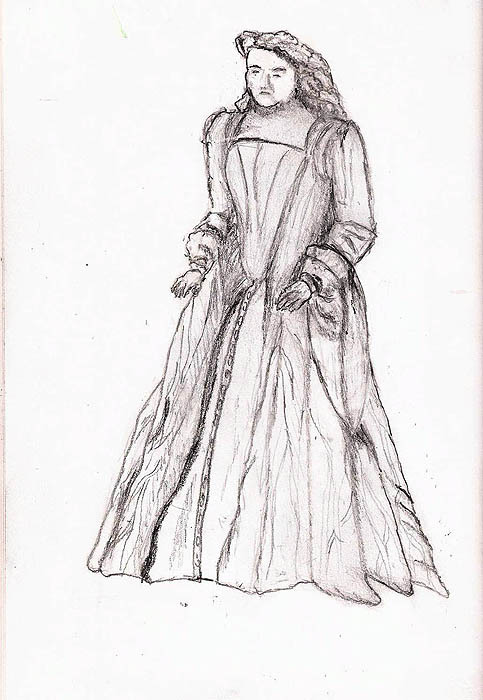 I decided early on that the subject might be too ‘grand’ for my Stillman & Birn 5.5×8.5 Epsilon sketchbook as the dress has a very bold pattern that I simply couldn’t capture in a 6″ tall sketch but I persisted doing the best I could. 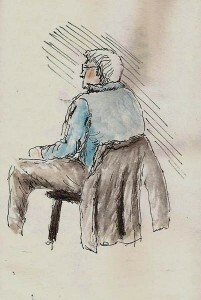 Sadly, the sketch shows my biggest problem – I constantly smear the pencil work. I can’t seem to avoid it. 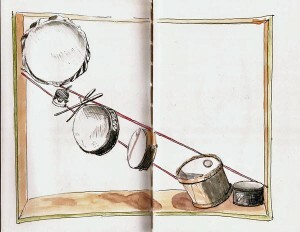 It got worse, of course, when I sketched on the page opposite this one. So, the sketch is more than a little bit ‘muddy’ but I sure had fun doing it. The mannikin didn’t have much of a face and neither does my sketch. Don’t hold it against her 🙂 I’m going to have to carry a sheet of paper to cover these sketches while I work, or maybe just go back to using a pen. 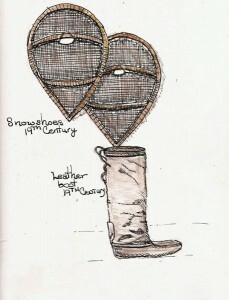 I moved to another room and was taken by a pair of 19th Century snowshoes. These are the widest shoes I’ve seen and if horses made John Wayne bowlegged, these would surely do the same to their wearer. I also sketched a boot that was associated with this display. Here I used a Pilot Prera and some watercolor pencils.